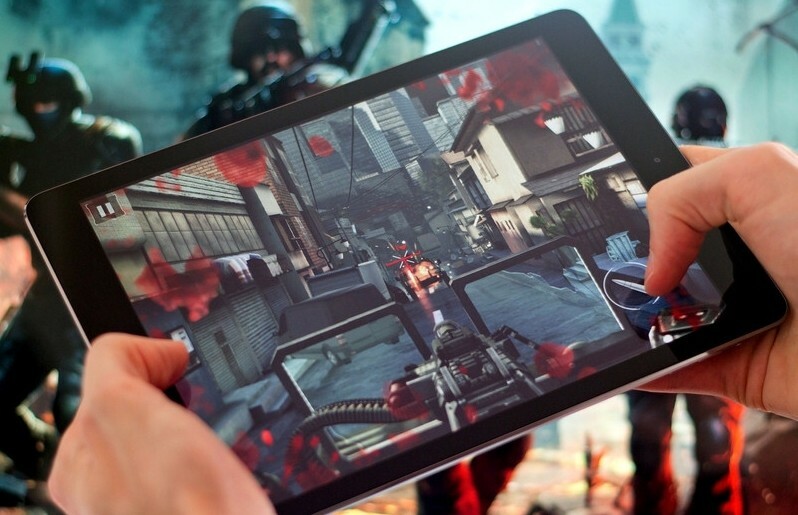 Apple has reportedly been turning away some mobile games from its iOS App Store because they display guns or violence in their promotional screenshots. Pocket Gamer was first to break the news as multiple developers told the site that their games and updates were being rejected because they displayed what is apparently inappropriate material. Developer Splash Damage, for example, had to blur out the guns in their promotional screenshots for Tempo in order to get approval. You can see more of their blurred shots by clicking here. When releasing an update for Gunslugs II on January 16, developer OrangePixel also ran into issues. In an e-mail from one of the developers to Kotaku, they said one of their screenshots (which had previous been approved during the game’s original release) was rejected because of violence. Team Chaos, the crew behind Rooster Teeth vs. Zombiens, said they had to remove the NES Zapper gun from their original icon. It was replaced with what appears to be a baseball bat. Another developer responsible for a pair of high-profile shooter games who asked to remain anonymous said they were also forced to remove guns in their screenshots. It is one thing if Apple wants to change its policy but it’s quite another to not do so universally. A game called Gang Nations shows cartoon-style characters holding all sorts of weapons in its screenshots while the updated version of Bullet Rush somehow manages to get away with showing sniper rifles.